Recorded, mixed and mastered in high definition audiophile format at 24 bit, 96 KHz resolution. SPECIAL: Buy the CD here and at checkout get a FREE download of the album ready for your portable music player, in any format of your choice - including audiophile high definition 24 bit/96 KHz FLAC and ALAC that captures the same quality as our final masters! Packaged in as enviro-friendly digipak specially designed by the artist. Also included are liner notes and a unique artistic visualization on the actual disc based on the album concept "One Of Us". Instantly download the music in your favourite format for your portable music player (320k MP3, AAC, OGG, etc). For audiophile listers, who want the ultimate high definition 24 bit/96 KHz experience, you can download our final hi-def masters as lossless FLAC or Apple Lossless Audio (ALAC). These are large, higher than CD quality files and you must also have a music player capable of playing these formats. High definition downloads are the same low price as normal other digital downloads! All album tracks are always included in full album downloads even if they are not available as individual singles. Every full album download includes an exclusive high res PDF of the album art and liner notes and all mp3's come with complete ID3 information and album art ready to transfer to your mp3 player! Get all 3 Ramona Borthwick releases available on Bandcamp and save 30%. Includes unlimited streaming via the free Bandcamp app, plus high-quality downloads of Sound Matters, One Of Us, and A New Leaf. , and , . 'ONE OF US' embraces the truth that we are the protectors of Earth's bounties. The death of a species casts perilous shadows on the survival of other species and ecosystems. This planet has graced us and our forefathers with abundant goodness. It is time for us to return the favour. Recorded in high definition audiophile format at 24 bit, 96 KHz resolution, this project was mixed at 64 bit resolution to maintain the highest possible fidelity. 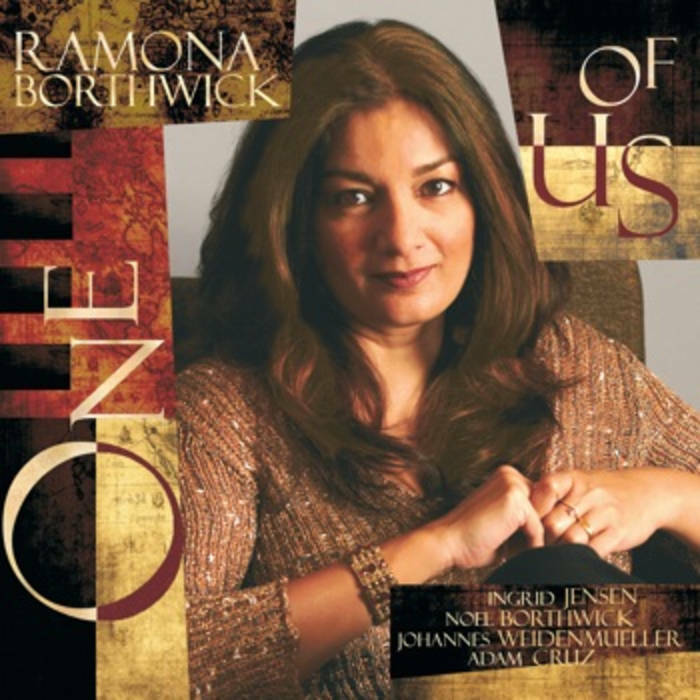 All compositions by Ramona Borthwick, © Leitmotif (ASCAP).